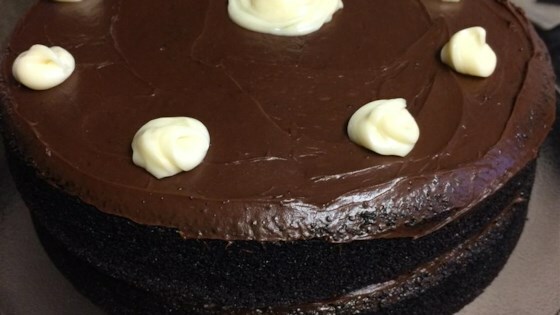 "This is an old-fashioned, but easy-to-make devil's food cake recipe. Pound cake like texture and sinfully chocolately. This is from an old Philadelphia Bakery. Great when frosted with Chocolate Fudge Buttercream Frosting." The cake was very good. It had a great chocolate flavor. It was very moist and stayed good a long time--I made it Wednesday and it was still good on Saturday. I'd definately make it again!